Every generation throws up a talent so extraordinary, that the work produced by the artist finds resonance across cultures and peoples. 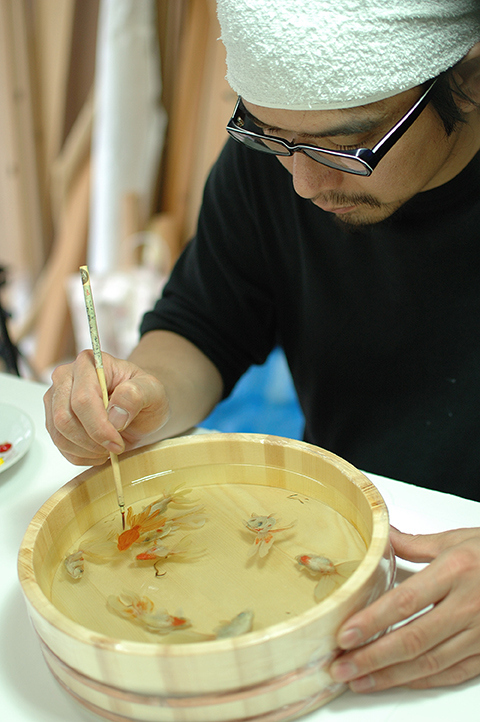 Nagakute, Aichi prefecture, Japan based artist Fukahori invented and innovated a complex technique of poured resin, and layering of acrylic paint, to come up with extraordinary three dimensional life-like ‘sculptures’ of varied goldfish. A graduate of the Aichi Prefectual University of Fine Arts and Music, and an admirer of French impressionist Claude Monet, his work displays a singular focus and extraordinary passion in creating small to large resin-paint ‘sculptures’. The relationship between art and life has been debated for centuries now, and by his admission Fukahori negotiates his identity and his everyday via his thematic obsession with goldfish – an idea, a metaphor, a poem. Take a look.